Poor publicity is rarely the flipside of good publicity. 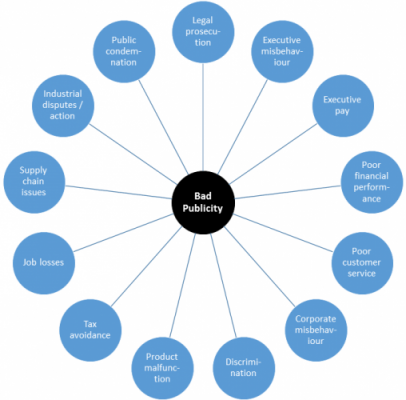 Whilst a few issues possess “publicity symmetry” such as financial performance, poor publicity is mostly driven by a different set of factors to good publicity. This is a similar phenomenon to the “two-factor theory” that Frederick Herzberg discovered in relation to employee motivation. Herzberg et al. (1959) found that motivation was not the mirror image of de-motivation, but two sets of factors existed, motivational factors and de-motivational factors. De-motivational factors (also called “hygiene factors”) were purely negative and could not produce motivation, although they could interfere with positive motivational factors. Similarly, communications crises and communications opportunities largely emerge from different phenomena. The two diagrams below show the triggers of good and bad publicity. Why is important to realise this? Just as Herzberg taught managers the importance of dealing with grievances but also that removing these grievances could not itself produce motivation, so in respect of publicity, companies must identify both sets of factors. There are a whole host of cognitive biases and organisational phenomena that produce a tendency for organisations to ignore or under-estimate risks. And what is the result of neglecting the causes of negative publicity? The reputational benefits of years of careful use of PR opportunities can be wiped out by a single bad incident. 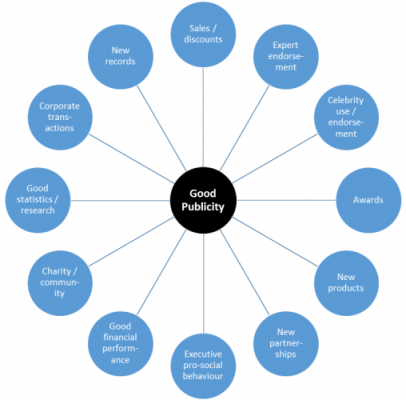 How can the “two factor” theory of publicity be used to improve corporate publicity? 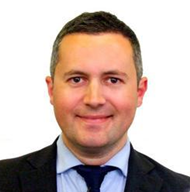 Since most good and bad publicity arises from within the organisation, rather than externally, managers should be trained to identify publicity risks and opportunities and to flag these to the communication manager as soon as they are spotted. For instance, customer service managers can be trained to identify service issues which have real potential to cause negative publicity. It usually takes many weeks (sometimes many months) for issues to make their way from the originating department to the newspapers. A trusted whistleblowing process is also a valuable part of this early warning system, because the line management system is imperfect and will sometimes block an issue being escalated. Similarly, for positive publicity, line managers are an excellent source of publicity ideas. Expert knowledge of products and customers is vested in the line managers of an organisation, and tapping in to this expertise is an excellent way of generating publicity ideas. Naturally, communications departments have to be sensitive in the way they communicate with employees, in order not to tread on the toes of line managers, but accessing the ideas and knowledge of all employees is such a valuable practice that the results will soon repay the effort involved in rolling the practice out. Organisational communication has a substantial bias towards exaggerating positive news and to minimising negative news. As information passes up the hierarchy it is sanitised in order to protect individuals and to protect bonuses. This “risk and performance cleansing” phenomena is responsible for many crises within organisation; since information is supressed until a late stage and then bursts out as a major publicity or performance crisis. Encouraging employees to convey potential publicity risks and opportunities through training employees in the “two factor theory”, may produce a major improvement in organisational communication and crisis mitigation. Herzberg, Frederick et al. (1959) The Motivation to Work (2nd ed.) John Wiley and Sons.